Never handle test strips again. Simply push and click a new 50 test cassette into place when needed. After testing, the Betachek C50 stores used tests in a separate chamber of the cassette. No mess, no fuss. Ideal for on-the-go testing, in the car, on public transport, enjoying the great outdoors. 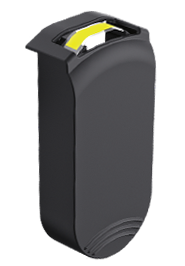 The Betachek C50 all-in-one meter is the world’s first meter with a 50 test cassette and fully integrated lancing device. With three items in one compact device (91.5 x 58 x 19.5mm), everything you need fits easily into a pocket or purse. Never carry a lancing device or container of test strips again! Each cassette contains a microchip that communicates lot specific information to the meter to achieve optimal accuracy. 10 penetration settings to produce virtually pain free sampling. Solid construction, tight tolerances and premium materials. Opening the sensor cover turns the meter on and primes the lancing device. Simply press the S button for a tiny blood sample. 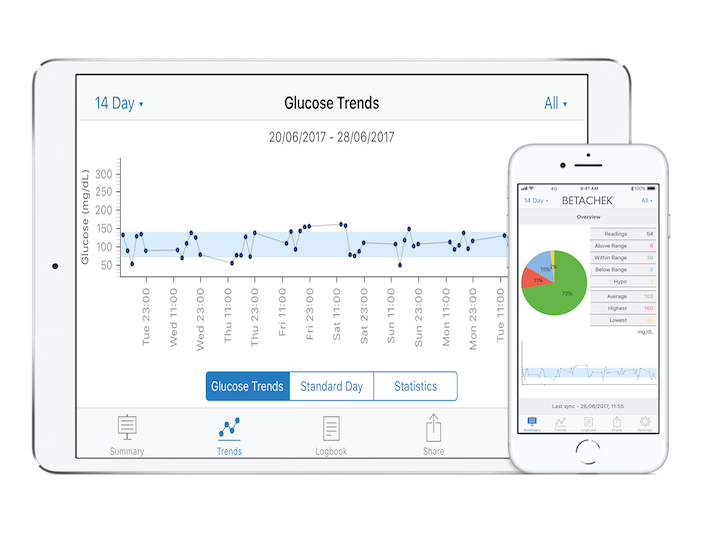 Results are automatically uploaded to your phone, where the Betachek diabetes management app creates graphs and charts. Text, email or print. Currently only available for the iphone and ipad. 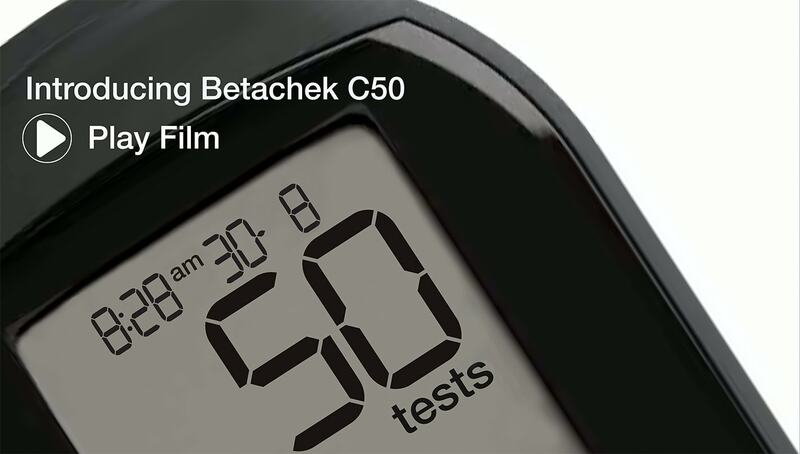 Each Betachek C50 cassette contains 50 tests and a waste chamber for used tests. 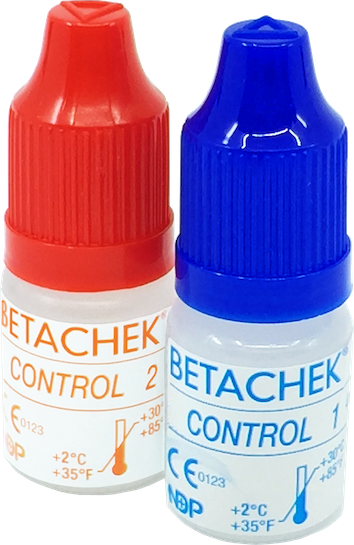 Check the accuracy of the Betachek C50 meter using Betachek control solutions 1 and 2. Auotmatically upload results to the Betachek Diabetes App. Available for free download on the Apple App store. Units of measure mmol/l or mg/dl – factory set.